To provide activities for an indoor Field Day. 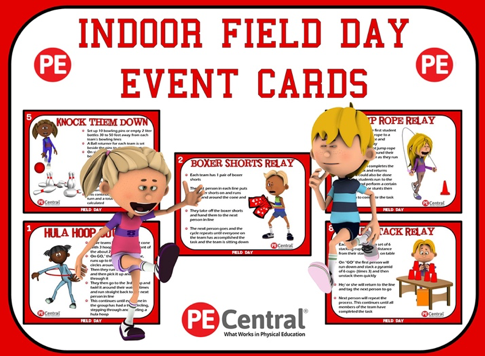 This document provides great activities for the PE teacher who has to implement their Field Days indoors. This would be great for a rainy day Field Day. Submitted by Pete Charrette Thanks for contributing to PE Central! Posted on PEC: 3/14/2018. Viewed 5905 times since 3/14/2018.